Carbon Steel is made up of 2.1% carbon when compared to its total weight. Minimum content of chromium, molybdenum, cobalt, nickel, niobium, titanium, tungsten, vanadium and zirconium is not specified in carbon steel. The minimum content of copper is also only 0.40% of its total weight. The increased carbon content in this steel type causes steel to become harder and stronger through heat treatment. But this also leads to less ductility of the steel. 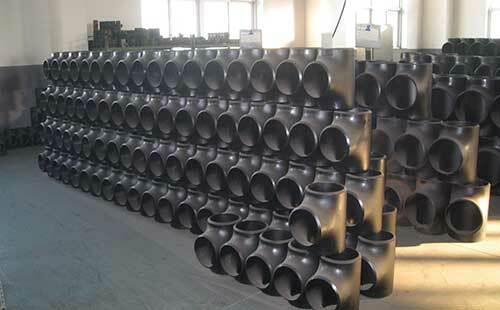 The high carbon content also reduces weld-ability. Two-types of carbon steels include low-carbon steel and higher-carbon steels. Low carbon steel also has one more type known as high-tensile low carbon steel. Low-carbon or mild steel is the most commonly used steel types. Mild steel contains less carbon that makes it malleable and ductile. Tensile strength is less in mild steel. High-tensile are added with additional alloying elements to increase their tensile strength. High-carbon steels are strong and contain about 0.8-2.0% carbon content.